Excellent condition. Authentic Chanel Pearl drop Push back Earrings/ Silver CC logo. Chanel Pearl studs Push back Earrings. Excellent condition. 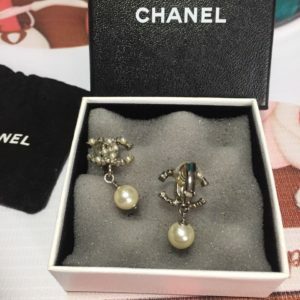 Authentic Chanel Pearl/ CC logo Clip on Earrings.